We writers are often dreamers. So, today, I dream: of a splendid, magical world just for writers. What does that world look like? No more relying on those spare notebooks scattered around your office, car, purse and bedside table. We’re going beyond voice notes. Way more advanced than speech to text. Your best ideas are automatically transferred from your mind to your laptop, smoothly and seamlessly. 2. Café au lait, oh yay! Free espresso, coffee and tea for all writers is the law of the land. Not to mention the red-carpeted priority seating sections in all coffee shops designated solely for writers. Every writer is paired with an experienced fairy godmother to help with pesky tasks like editing. Mundane or tedious emails now write themselves, so writers can focus on their craft. No more pinched nerves or aching back. Simply text or call the mobile masseuse squad to work out those knots while you continue to write that masterpiece. Plus, carpal tunnel syndrome no longer exists. Free and reliable Wi-Fi follows you to every corner of the globe, so you can always meet your deadlines. Have you seen the show “Who Wants to be a Millionaire”? Remember how you can phone a friend for help with a challenging question? Well, phone a famous author is now available to help you with the perfect word choice or story structure. J.K. Rowling on speed dial? Sign me up! Any statues of dictators out there have been replaced by the likenesses of great writers, from Dickens to Dostoyevsky. When you’re writing and in ‘the zone’ you can’t be bothered by trifles such as food and drink. Enter a team of friendly robots to serve your favorite snacks and goodies. Keep on writing while your new robot bestie stuffs your face. Teachers find an engaging and memorable way to impart their knowledge of spelling, grammar and usage to children everywhere. The masses finally understand the difference between your and you’re; and they’re, their, and there. Presenting the incredible, the one-and-only calorie burning keyboard! Each word you type corresponds to the number of calories you burn. You can go ahead and cancel that pricey gym membership, folks. Indulge your insatiable literary appetite with a lifetime supply of free books in every format and genre, in addition to no-wait library books, videos and audiobooks. Pair it with ever-expanding bookshelf space, so you never run out of room for your collection. All people, regardless of gender or socioeconomic status, are given the opportunity to learn to read and write. 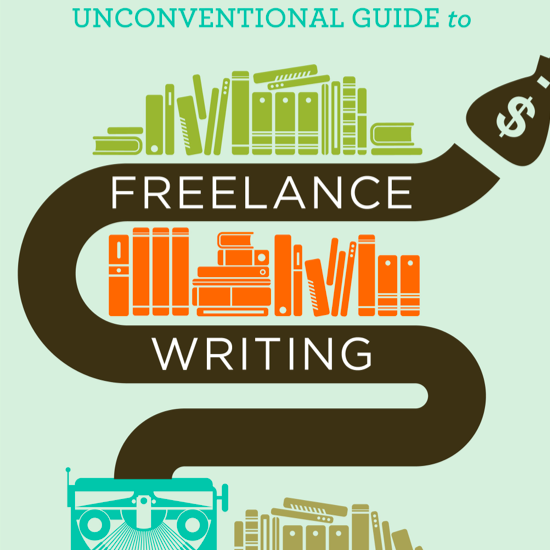 Bonus: those who wish to pursue a writing career attend college, all-expenses paid. Need to take a few moments away from that manuscript or blog? Jump on your neighborhood party bus, exclusively for writers. Door-to-door service and a thumping dance party all in one. Since writers run the world, only the most engaging and touching of speeches will be given. Abraham Lincoln would be proud. Tired of searching in vain for a place to plug in your laptop while out and about? The new Writer 2.0 laptops use the energy of your writing to charge themselves. Every major city houses numerous nooks for writing or reading — decked out with plush chairs, self-refilling coffee mugs, and a live string quartet (for ambiance). Ahhh…this is the life. Doesn’t this writer’s utopia sound utterly fabulous? Well, it’s not going to build itself, people! What would you add to this writer’s paradise? I love the one about ideas going from your brain direct to keyboard – cant tell you the number of times Ive have a bright idea and forgotten it by the time I get home! I like that one too! Whenever I have a good idea I don’t have to write it down?! Sounds fabulous! Another thing I would add would be a self-typing keyboard that transfers words you say out loud to your keyboard. And the last thing I would add would be a bookshelf with a secret compartment for your most treasured books! #WritersRunTheWorld! #WritersRuntheWorld – love it! I love your idea about that super cool keyboard, as well! This is a Well Known Problem. Carry a pencil and one of those teeny-weeny A6 note books. Write down any idea you have. You can also take pictures of anything you want to remember with the camera in your phobile moan. I need to do that, Ken! I use the memo pad on my phone to type out any ideas that pop in my head, this way I don’t lose it. I can’t decide which one I love most. Maybe #16. #11 rocks! For #6, I could donate a liver to that cause. #9, BLISS!!! In addition to a spell check that can read your mind, we’ll also have a Concept Check that will save you wasting time on that dumb idea that will never come to fruition. LOVE this, Wing! What a fabulous idea! 21. Editors pitching instead; then writers picking the most interesting and high paying gigs. Someone (I mean Robot) bring my espresso! These ideas are sheer genius, Karimi! If #21 were reality…I mean…mind blown! And I certainly wouldn’t mind being on a beach at this very moment. Good one, Ken! Writing fiction deserves respect! Another great piece, Megan—and so much fun. Like others, I can’t choose my favorite. I want them all! When do we get to vote you in as Supreme World Ruler? I’m glad we found common ground that far surpasses politics, Megan! Your blog was so perfect that I didn’t want to add anything; but now, having given it more thought, I would add a bottomless, no-strings-attached fund for all writers to pay for quality copyediting without any money having to come out of their pockets! Oooh! I’m on board for that, Ranee! Nice! Okay, so when can I move here?!? How about a Publishing Tree? Publishers compete to publish our masterpieces, instead of us beating ourselves up to find a publisher that understands our genius? Oh, and the best marketing strategies are always included! A Writers weekly aknowldgement award so that writers will be acknowledged for our accomplisents? After all what good is it to publish, if no one knows you or how to find your work? And last but not least… Writers dream house realty, with trained archetects standing by to build the writer’s perfect dream house that will pamper and inspire the writer to new and greater masterpieces! Whoa, S.D.! Super great ideas. I especially love the one about publishers competing for OUR attention. I need #6 please, ha. Do I ever wish this was true! Great article! Fun read! Thank you, Teagan! You and me BOTH! Brilliant. I want to go there. I’d have to say number 7 is my favorite. I know exactly what three authors I’d love to have on speed dial. Okay, Ann: now you’ve got to spill! Which 3 authors would you put on speed dial?? Loved your ideas, Megan! (AND that you’re another midwestern writer.) Being a sci fi fan, I think we should add a Time Warper to the list. When you’re on a roll and the words are flowing, a mere flip of a switch would put you in a zone where the hours wouldn’t pass until you were done. No sleep deprivation, no having to interrupt your flow to feed the family… Perfection. Karen, you sci-fi maven! LOVE this idea! Can this please be reality now? And yay for writing among the cornfields! Oh, what a wonderful world! I love most of your suggestions plus the additions in the comments. I just have one requested change for myself, instead of a party bus, I would love a beach or a pool. Since we’re burning calories while typing, we don’t need to feel conscious about our weight! And of course, im assuming any good party will have delicious food and drinks. Sounds like perfection to me, Luisa! Thanks for sharing! Ehh, so-so. For one, I’m in the process of reading a book (Steal Like an Artists) that suggests segregating “analog” and “digital” tools (preferably on separate desks) because “analog” (I hate it when people use the word to mean “non-digital”) is inherently more creative than digital. So”brain to laptop”–uh, no, not really. And a weird thing I’ve noticed–just recently (i.e. last night) is that drinking caffeinated soda can get me through a sleepy spot, but “hot beverages of strength” (as the Mormons say) doesn’t seem to perk me up any. Go figure. “Wi-Fi around the world”? When some people need internet lock-out programs to stop themselves from watching cat videos when they need to get work done? (Not to mention it’s starting to look like Wi-Fi frequencies may be just as bad as cell phones–we’ve already learned that wi-fi damages trees.) Again, no. What we COULD use, and what is entirely within modern resources, is a decent rating system for keyboards. I am so sick of my keyboards “not hearing” keystrokes, but when I look for “reviews keyboard accuracy” all I get is a bunch of “improve your typing speed” websites! Thanks for reading, Wendy. Interesting idea to separate digital and analog tools. I agree that my creativity often soars when I simply put pen to paper. We do live in a digital world, whether we like it or not! Everyone has their own strategies for getting work done. Awesome! How about finally having laptops that can copy all a writer intends to write from the writer’s mind on autopilot every time we decide to write. It’s a writer’s world after all. Nice one, Emmanuel! Sign me up! Haha I LOVE the calorie-burning keyboard! That would be amazing! I’m seriously dreaming of it, Marni. Why hasn’t someone invented it?? English teachers have to accept anything a student writes, as long as it’s well-written and creative. No more useless essays! I like this one, Brittaina! Thanks for sharing! All high school graduates would know how to read and enjoy doing it. Absolutely, Joann! Reading should be a lifelong passion. Perhaps all writers get free housing with all bills paid. This would give more time to write. I like where you’re going with this, Andrew! I sure wouldn’t turn down free housing and no bills! You are right, Franceska! It’s all part of the wonderful and crazy writing process, isn’t it? If writers could change the world . . . how would the approach to such be initiated . . . given that the changes would require that all “think” of our present circumstances, including the strong probability that the expected gargantuan release this Fall of now frozen Arctic basin hydrates may well lead to a lifeless Planet within 3 to 4 years? Writing for change is a fantastic idea, Daniel! Add to number 10 the apostrophe. I never can understand what’s difficult about it. Perhaps it was all those exercises we did in school that drummed it into us, along with the other things. I don’t think they do it like that anymore, hence the ignorance of the common person. But I love all your ideas. Bring it on. I agree, Vivienne! The apostrophe is not a difficult concept, but it seems to escape many!